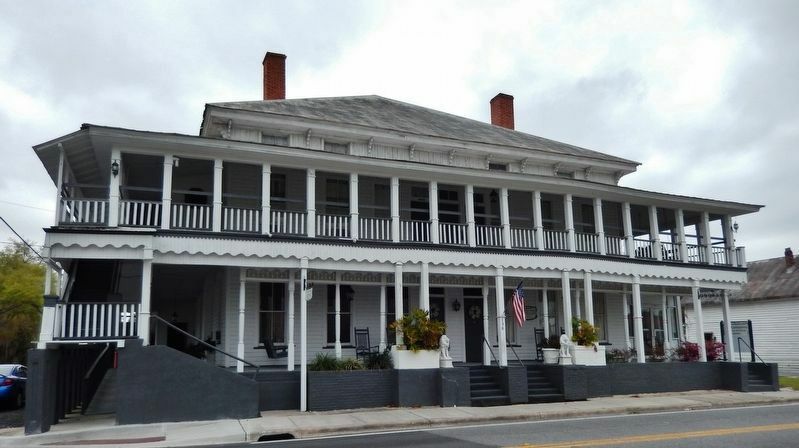 Established in 1874 by John B. Whitfield, Mayo was named in honor of James M. Mayo, a colonel in the Confederate Army and father of Nathan Mayo, who served as State Commissioner of Agriculture from 1923 to 1960. 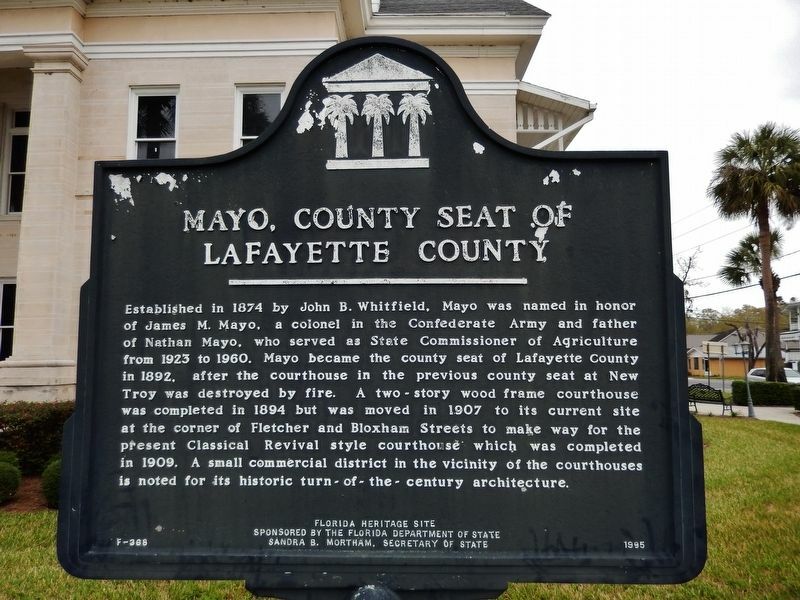 Mayo became the county seat of Lafayette County in 1892, after the courthouse in the previous county seat at New Troy was destroyed by fire. 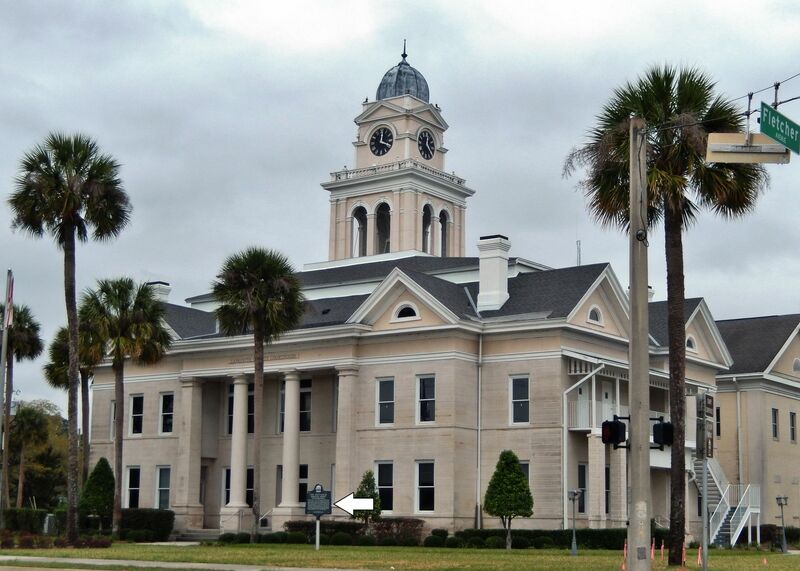 A two-story wood frame courthouse was completed in 1894 but was moved in 1907 to its current site at the corner of Fletcher and Bloxham Streets to make way for the present Classical Revival style courthouse which was completed in 1909. A small commercial district in the vicinity of the courthouses is noted for its historic turn-of-the century architecture.
. Marker is on West Main Street (U.S. 27) west of North Fletcher Avenue (State Road 51), on the right when traveling west. Touch for map. 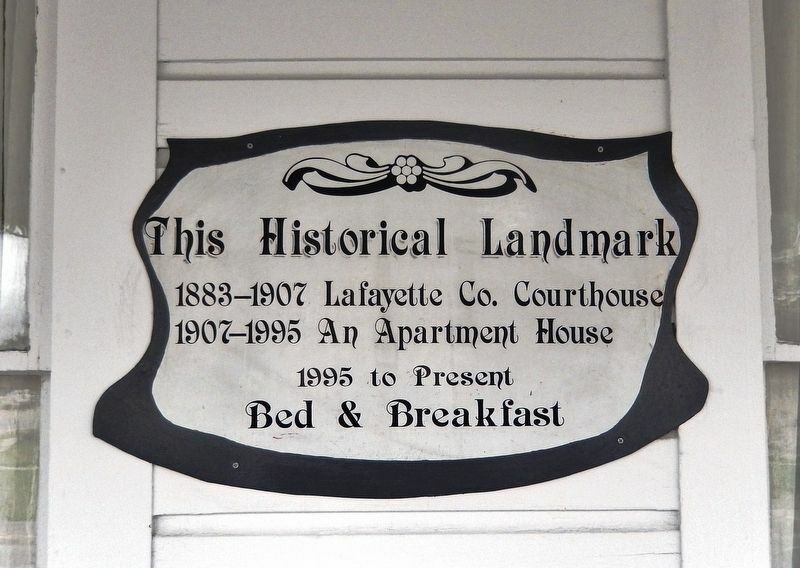 Marker is located beside the sidewalk, near the southeast corner of the Lafayette County Courthouse grounds, facing West Main Street. Marker is at or near this postal address: 120 West Main Street, Mayo FL 32066, United States of America. Touch for directions. Other nearby markers. At least 1 other marker is within walking distance of this marker. Lafayette County (within shouting distance of this marker). More. 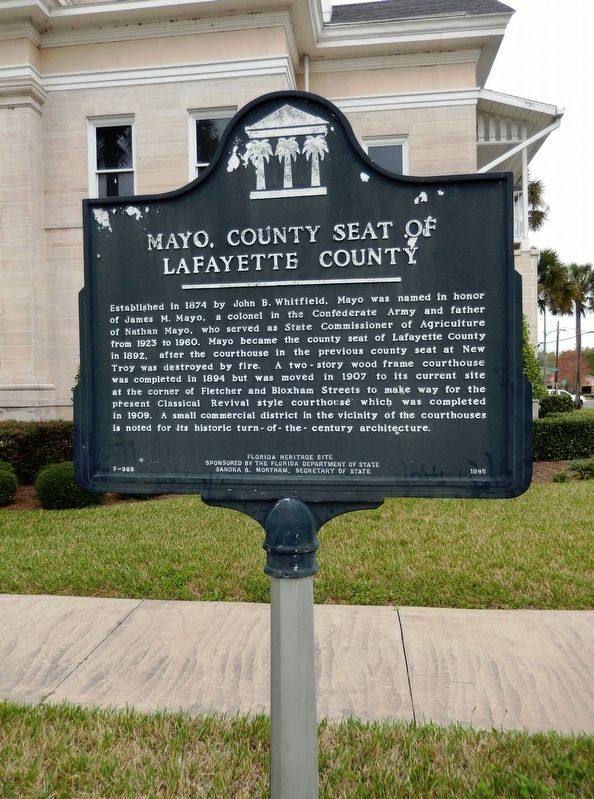 Search the internet for Mayo, County Seat of Lafayette County. Credits. This page was last revised on April 15, 2019. This page originally submitted on April 14, 2019, by Cosmos Mariner of Cape Canaveral, Florida. This page has been viewed 33 times since then. Photos: 1. submitted on April 14, 2019, by Cosmos Mariner of Cape Canaveral, Florida. 2, 3, 4, 5. submitted on April 15, 2019, by Cosmos Mariner of Cape Canaveral, Florida.